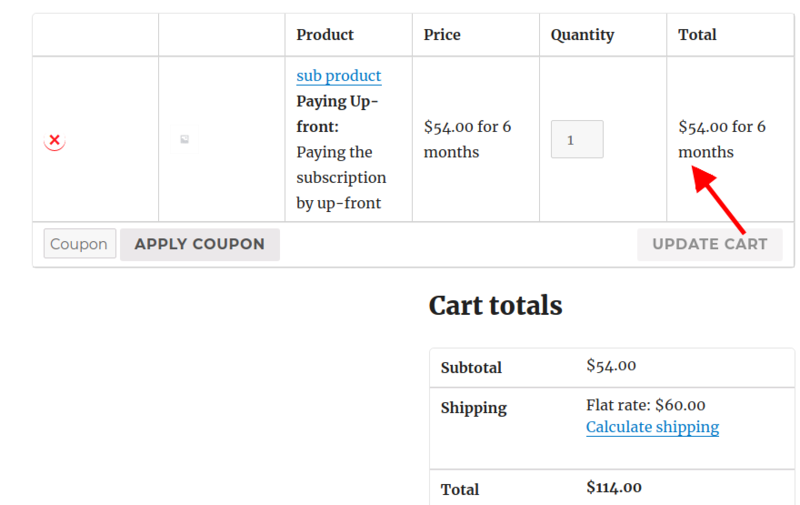 Here let's see a scenario where I have a subscription product with its expiry set to 12 months. And, the upfront payment for 6 months. 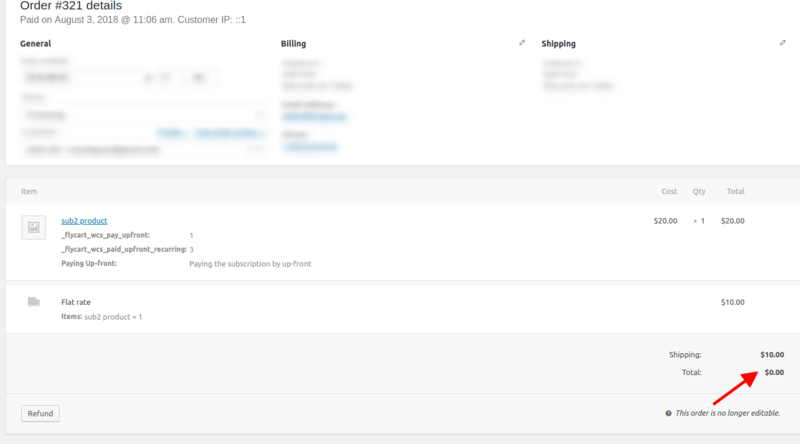 Since I have set as allow Upfront payment only, payment for 6 months and shipping cost for 6 months is collected. Now, what happens at the end of 6th month ?? Upfront payment expires at the end of 6 months and from the 7th month the payment will be returned to the normal monthly billing cycle. 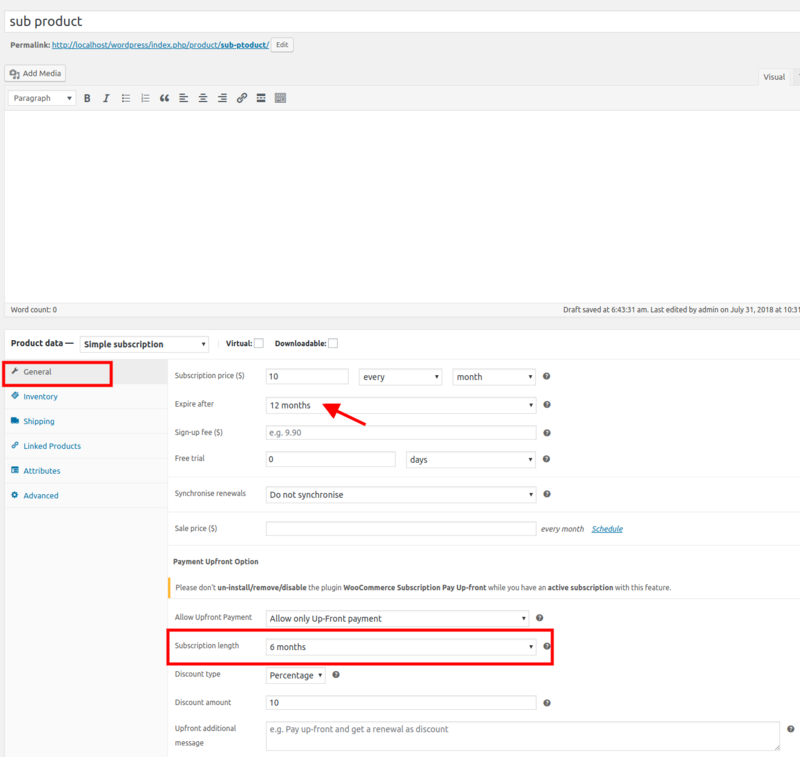 Since the upfront payment is set for 6 months, in the time period of these 6 months an invoice will be generated with "zero" order value. Customer will not be charged for 6 months. This is just for record. 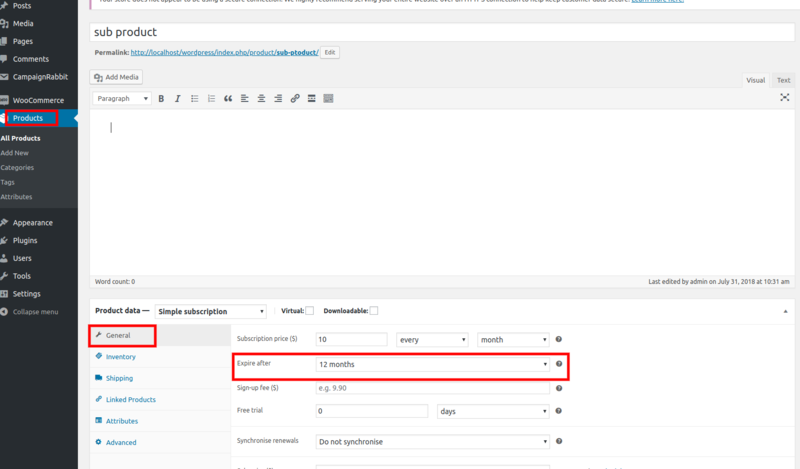 You can set any subscription expiry according to your requirement.But the subscription length will always be less than or equal to the subscription expiry. You cannot set a length which is greater than expiry.